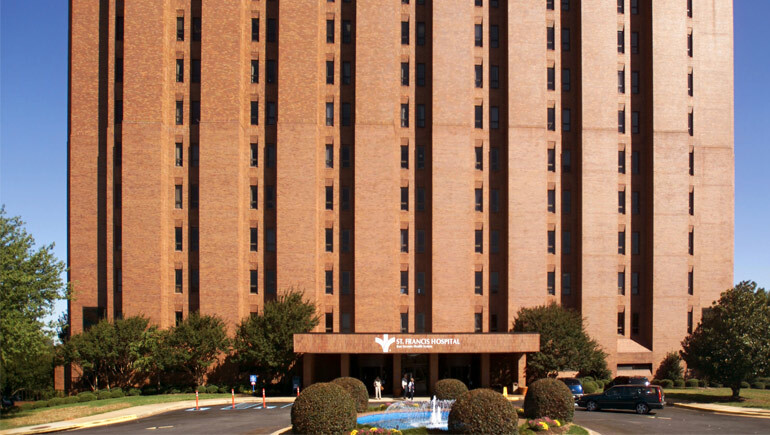 The Bon Secours St. Francis Health System is ranked among the 100 best hospitals in America. That's quite an achievement. It's particularly remarkable for a nonprofit whose mission includes a unique mix of healthcare and community services for people in need. Our health system was founded in 1932 by the Franciscan Sisters of the Poor, who passed the torch in 2000 to the Sisters of Bon Secours. "Bon Secours" means "good help" — combining the highest quality of medical services with the highest standard for compassion. Currently we provide $66 million in free care each year. Bon Secours St. Francis plays this unique role through the generous contributions we receive every year from the communities we serve. Examples include recent capital projects focused on cancer, breast health, and neonatal care. There's one obvious gap, though, in our effort to serve the most urgent healthcare needs of this region. Our heart health facilities need an upgrade. Cardiovascular disease is the leading cause of death in the US today. One in three deaths — more than 800,000 per year — are heart related. There are 74 million people in the US with high blood pressure, 5.7 million with congestive heart failure, and 6.5 million people who suffer strokes each year. In the upstate, health statistics parallel these national trends. Fortunately, Bon Secours St. Francis already has an outstanding heart program. We're ranked among the nation's 100 best hospitals in cardiac care; we treat heart attacks three times faster than the national average; and our cath-lab was the first in the country to be accredited for cardiovascular excellence. A new Chest Pain Center will provide immediate care in emergencies, potentially saving the lives of heart patients by detouring them around the Emergency Department. A new Cardiovascular Intensive Care Unit will offer patients easy access to new technology and a healing atmosphere that promotes better outcomes.